The average age of a Windows laptop is about 5 years. You buy a laptop and in about 5 years it either is too bad to work or newer products in the market make you discard it and go for the better one. For several years now, the key factors influencing the decision have been price, weight, screen size and processor. iPads ushered in a new concept of tablets and many PC manufacturers started producing what was a mix of tablet and laptop or in other words a device, which can work as a tablet or as a laptop. A few initial products were not so interesting, but lately the manufacturers have been coming up with a lot of innovative and interesting products which push further the concept of two-in-one devices: tablet and laptop in one. There are over a couple of dozen to choose from now, but at the upcoming Consumer Electronics Show (CES) in Las Vegas in early January, there will be at least 50 products introduced under this branding campaign. Some will be as low as $299, but most quality two-in-ones will start at around $499 and go up to as high as $1299 depending on the configuration. Till now, these two-in-one devices had some or the other sore point, which lowered their overall utility as both. Lately we’ve seen a few products, which were launched for this holiday season and are getting closer to providing the best of both worlds. 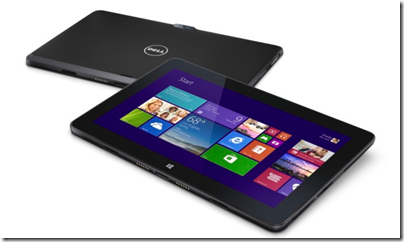 A good example of this is the Dell Venue 11 Pro model that I have been testing. Dell Venue 11 Pro runs on Intel dual-core i5 Y processor, has a 11” screen and an optional keyboard case that packs an extra battery. The tablet by itself gets about 7 hours of battery life and the keyboard battery option doubles the battery life to 14 hours. This product performs great as a tablet and when paired with the keyboard works just like a laptop. Another product in the same category is Lenovo Yoga 2 Pro. The Yoga 2 is the second version of Lenovo’s Yoga 1 laptop. While the Yoga 1 was well appreciated, it was found somewhat clumsy. Yoga 2 is a great upgrade and is easily the the Windows 8-based laptops to beat. 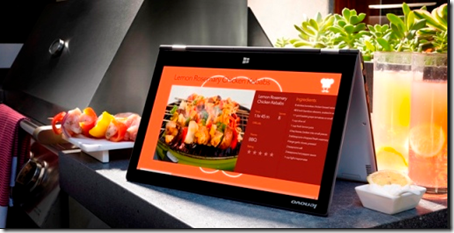 Lenovo Yoga 2 offers you a variety of price ranges based on the configuration you need. If price is not a major factor, I would recommend you go with the one with 8 GB memory. That said, if you are thinking of buying a new Windows laptop this holiday, I suggest you consider one of these two-in-ones or convertibles.